McALLEN — After a brief dip over part of the summer, the Rio Grande Valley’s unemployment rate took a turn in the right direction in August, leaving local officials with optimism about the local economy for the distant future. McAllen’s unemployment rate for August was 4.9 percent, the lowest of any city in the Valley, with Edinburg close behind at 5 percent. Harlingen was third at 5.7 percent. 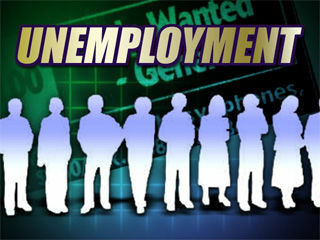 More people were employed in Cameron, Hidalgo and Starr counties in August. The unemployment rates at that time were 6.2 percent, 6.6 percent and 9.1 percent in Cameron, Hidalgo and Starr counties, respectively. Steve Ahlenius, president of the McAllen Chamber of Commerce, pointed to advancements in the medical and education sectors. Keith Patridge, president of the McAllen Economic Development Corporation, just returned from a work trip to Seoul and Tokyo, which has sent many companies to the South Texas and northern Mexican border. Patridge was optimistic about new employment, and furthering local employment, after his trip. McAllen Mayor Jim Darling was equally encouraged by the employment numbers.